Discovered many theories along the way which significantly impacted the growth of this scientific field. When it comes to Math circles, Terence Tao is one of the people whose names are on people’s tongues when they talk of significant achievements. And the praise is not without reason. This Australian-American math expert has some accomplishments to his name which propelled him to great heights in his career. He focused on various Math topics and discovered many theories along the way which significantly impacted the growth of this scientific field. 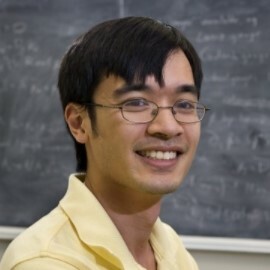 Terence Tao was born in Adelaide in South Australia in the year 1975 to a pediatrician and a math expert. From an early age, he got exposed to various branches of science. When he was not watching his father diagnose and treat children’s diseases, he would be observing his mother as she carried on her scholarly work. Both his parents were living in Hong Kong while they were studying. They later moved to Australia where Tao was born. This early exposure to science greatly aided in his ability to grasp Math at a fast rate. His brothers too were able to follow in the footsteps of their parents, also becoming great mathematicians over time. So great was their gift for math that they represented Australia in an IMO contest. Terence Tao took up an interest in Math and worked hard on the subject. In fact, he published his first paper at the age of fifteen, which was just a year after joining the Research Science Institute. Terence was unlike many children, and his ability to work with numbers was impeccable. As such, he ended up acquiring both an undergraduate and a graduate degree from Flinders University. This success got aided by the help of his mentor Garth Gaudry. His education did not end there, and he headed to the United States in 1992 in a bid to pursue a doctorate at Princeton University. At the age of twenty-one, he got his Ph.D. Once again; he worked with the help of a mentor known as Elias Stern. Having completed his doctorate, he joined the University of California as a faculty member. He was able to become a professor at the University at the age of twenty-four. Nobody else has had the privilege of earning such a position at the school at such a tender age. It shows just how amazing his brain is. Terence Tao conducted a lot of research while in school, and he gets recognized for his work with Ben Green. Together, they worked tirelessly to prove the Green-Tao theory. In his quest for answers, he worked with tens of scientists who significantly contributed to his successes. His hard work has gotten noticed by many scholars, and he has received various awards, the most significant honor being getting the Fields Medal.